The Harlem Globetrotters Are Coming! What better way to get together as a family and enjoy a night that is full of fun for both kids and the parents? Well, Hubby and I are always on the hunt for fun things to do with the girls. With that being said, we love taking them to games, concerts and things of the such that gives them an experience that they will remember for always. As a child, I only dreamed about seeing the Globetrotters and I remember seeing the commercials come on TV. I am super excited that I’ll be able to take my girls to see them and I know that I’ll enjoy it just as much! Nothing makes me smile more than seeing the smiles and looks of awe and wonder in the eyes of my children. The Globetrotters are coming to Michigan and lucky enough, I am close to Michigan to be able to take a small road trip and watch the Globetrotters, we will probably stay the night in Michigan and make a trip of it! The girls are absolutely excited and can’t wait for the show! 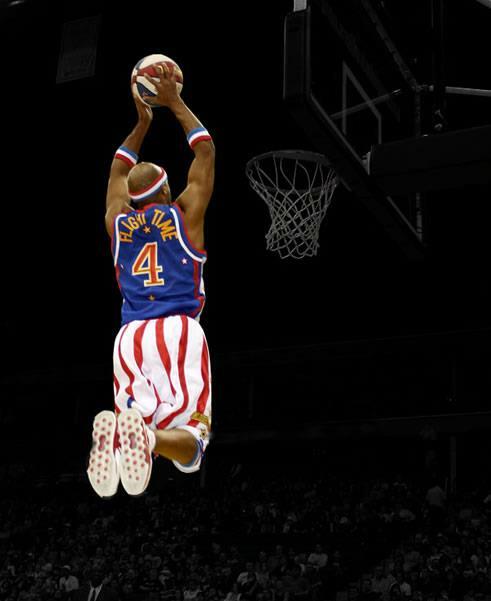 Watch for The Harlem Globetrotters in A City Near You! The Harlem Globetrotters love seeing families laugh together during our games, and would love to see your family when we come to a city near you. If you’re looking for an awesome event the whole family will enjoy, get your tickets to the Harlem Globetrotters “You Write the Rules” tour. Your family’s smiles will start before you even get to the game because this year, your family can vote at harlemglobetrotters.com, and decide rules for the game like two balls in play at the same time that could affect the final outcome. After the game, Globetrotters will stay on court to sign autographs and take photographs with your kids. The only thing better than finding an event the whole family will enjoy, is getting a great deal on it. Save $7 per ticket* by using the promo code “TOGETHER“. Get ready to experience a show your family will remember for a lifetime! *Discount available on select ticket levels. So, if you are ready for a night of excitement, fun and wonder–check to see if there’s a show near you! Remember, you can buy them right now at a discount price. You can find common ground with your children and build an even stronger bond and memories for a life time. 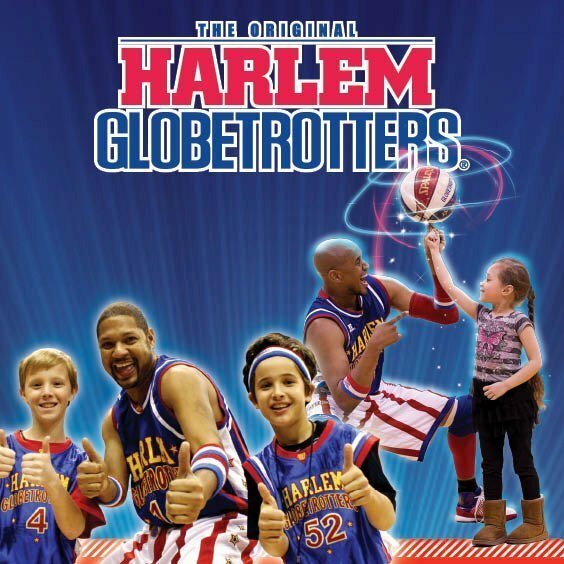 I have seen the Globetrotters in action online and I know that we will be in store for lots of amazing tricks, laughs, gags and so much more! I am also very happy to see the initiatives that the Globetrotters take part in every year, whether it’s making hospital visits or encouraging kids to stay in school and stay active. Have you ever watched a Harlem Globetrotter game? That is so much fun! I've always wanted to see them. Such great family entertainment! I have always wanted to see a game. It would be a great experience. I have always wondering what it would be like to see them in person. It looks like it would be a neat and fun show to see with your family. Always wanted to go when I was a kid. So cool! I remember when I was a kid, my family went to see the Harlem Globetrotters! My WHOLE family! Including my cousins, grandparents, aunts, uncles, etc! LOL! FUN! My mom took us when we were teenagers, and it was a lot of fun!